I read this article and found it very interesting, thought it might be something for you. 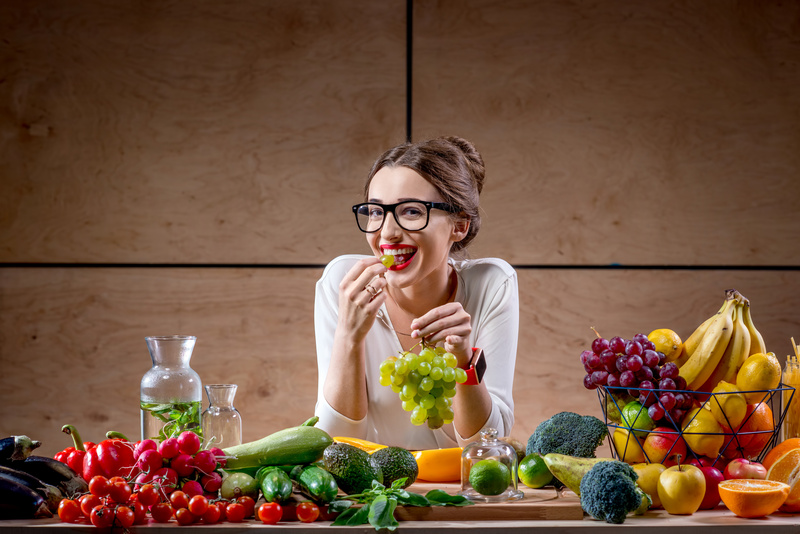 The article is called Forget Counting Calories: 5 Benefits of Eating Fresh Food and is located at https://trustworthyfitness.com/forget-counting-calories-5-benefits-eating-fresh-food/. Do you faithfully track the calories you consume? If not, you’re not alone. While many people try to track their calories, they often forget to include everything they eat. Some put off making their entries until later in the day only to find out that they’re significantly over their calorie goal when they do enter their meals into their tracker. Some even give up tracking their calories altogether after a few days. Why do so many people fail when it comes to tracking calories? Tracking calories is time consuming and difficult to keep up with. It can even be a bit demoralizing. Just think back to the last time you were starving but your tracker said you’d had enough. Did you want to give up? Of course you did! You might have eaten something “off record” just to get through the night. Fortunately, you don’t have to track calories to lose weight and improve your health. You just have to change your eating habits. Stop eating when you’re not hungry and choose fresh food over packaged, processed foods. If you do these things, you will get smaller and feel healthier. In fact, there are several health and weight-loss benefits associated with eating fresh foods. Not only do fresh foods taste better, it’s healthier for you. If you simply replace easy, packaged meals with meals made from fresh, organic produce and meat, you’ll lose weight naturally. You’ll also have more energy, be more alert, and be less prone to depressive episodes. Following are five benefits that make these changes possible. Fresh fruits and vegetables are very low in calories, which means you can eat more of them. Yes, you can eat more food simply by changing what you eat. Take a cup of raw carrots, for instance. A cup of carrots only has 52 calories. A cup of buttered pasta, on the other hand, has 290 calories. If you eat the pasta, you won’t have a lot of calories to spare for other items in your meal. You’ll basically be able to eat a cup of pasta and starve till your next meal. If you opt for the carrots, however, you will have a few hundred calories left over for more food items. What’s more, that same cup of carrots is loaded with vitamins and nutrients. Carrots contain three times the daily requirement for vitamin A and nearly 13-percent of your requirement for vitamin C. Pasta has none of these nutrients. In fact, it only has a little bit of fiber and protein along with a load of sodium and carbs. When it comes to nutritional content, carrots have pasta beat. How does this help you? If you eat more nutrient-dense, low-calorie food, you will feel fuller and have more energy. You will also eat fewer calories without even having to think about it. As much as three-quarters of packaged food items contain added sugar, which is why Americans are now eating almost four times the recommended daily amount, according to the FDA. Not only is sugar not good for you, it sabotages your diet in a huge way. Sugar raises blood insulin levels, which causes your body to start storing calories as fat instead of burning them off. Sugar also makes you feel hungrier, which can cause you to take in even more calories. If you want to lose weight, you’ll have to cut back on the sugar. Fresh food, as long as it is organic, does not have preservatives. Preservatives are added to food to give it a longer shelf life. Common preservatives include, aspartame, hydrogenated oils, modified corn starch, and sulfates. None of them are good for your diet. Aspartame can make your liver sluggish, resulting in a slower metabolism. Hydrogenated oils or trans fats aren’t broken down by your body very well. They are usually stored as fat. Modified corn starch makes you feel sleepy and lazy, which can make it difficult to keep moving. Sulfates attack your digestive system, making it difficult for you to absorb nutrients from the food you eat. Fresh food contains more enzymes. Enzymes are used by your body for a variety of reasons, one of which is food metabolism. Enzymes actually help you break down food and burn calories, which is why you should be eating food containing them. Enzymes are also used by your body for a variety of functions, including cognition, speech, and hormone regulation. The beauty of adding fresh food to your diet is that you don’t have to go on a diet. You don’t have to worry about counting calories or making complicated meal plans either. All you have to do is start eating more fresh food. You can start by adding fresh fruits and vegetables to every meal. Load your plate with plenty of veggies and build your meal around them instead of treating them like a side dish. If you want a snack, eat a piece of fruit rather than a packaged granola bar or something similar. Think fresh and eat fresh at all times, and you will reach your goals quicker than you can imagine. One of the best ways to ensure that you’re eating fresh is to pick up most of your grocery items from the sections located on the perimeter wall of your grocery store. This includes the produce, meat, and dairy sections. You’re going to find a lot of your processed foods in the individual aisles, so dart into these as little as possible. And when you do go down the aisles, get what you need and get out. The frozen food section is a bit tricky since it contains healthy flash-frozen veggies and frozen pizza. Here, you will have to look at the nutrition labels to make an informed decision. Keep in mind that some food in the meat and dairy sections contains hormones and preservatives. Organic food does not contain these things. When shopping, look for the “organic” label. Likewise, some produce is sprayed with chemicals to fight off insects and make them last longer. Again, organic fruits and vegetables are required, by law, to meet rigorous standards and cannot be chemically manipulated in any way. If you want to make sure you get the freshest organic food possible, visit your local farmers’ market. Food at the farmers’ market is fresher because it is usually grown locally, which dramatically reduces the time it takes to get the food from the field to you. Local produce is often cheaper as well, so both your health and your wallet will benefit. If you find it difficult to count calories and stick to a strict diet plan, sign out of your calorie-tracker app for good. All you need to do to lose weight, have more energy, and get healthier is to eat more fresh food. Simply make meals using fresh, organic ingredients whenever possible. If you make this small change, you will notice a dramatic difference in your health and appearance. Previous Post Eat Stop Eat Review – Can Brad Pilon Free You From Complicated Diets? Next Post Truth About Fungus Review – Can It Destroy Your Toenail Fungus Problem?